According to Whois record of Edupic.net, it is owned by William Vann since 2014. 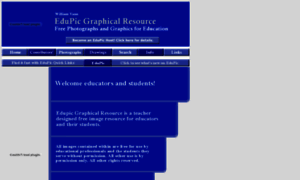 Edupic was registered with 1&1 Internet SE on September 20, 2006. William Vann resides in MESA, USA and their email is william@campvann.com. Earlier, Edu Pic owners included customers; or 1&1 Internet Inc. in 2013, William Vann 1&1 Internet Inc. in 2012 and William Vann registrant-street1: 6930 Manning Road in 2011 and William Vann later that year. The current Edupic.net owner and other personalities/entities that used to own this domain in the past are listed below. If you would like to share more "whois" details on Edupic with us, please contact us! customers; or 1&1 Internet Inc.
William Vann 1&1 Internet Inc. If you are Edupic owner and would like to increase privacy protection level for your data - please, deal with 1&1 Internet SE which is your site’s registrar. Whois history of Edupic.net is provided using publicly open domain data.